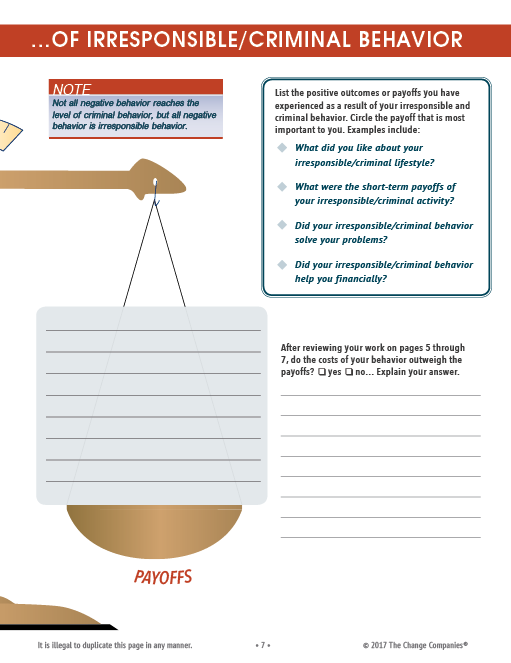 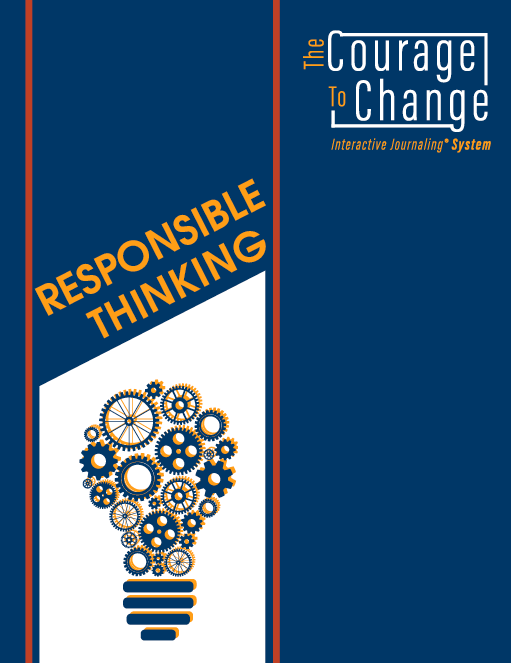 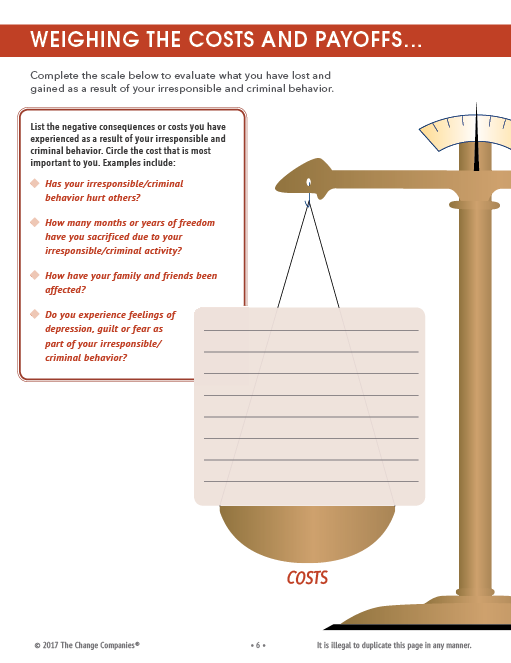 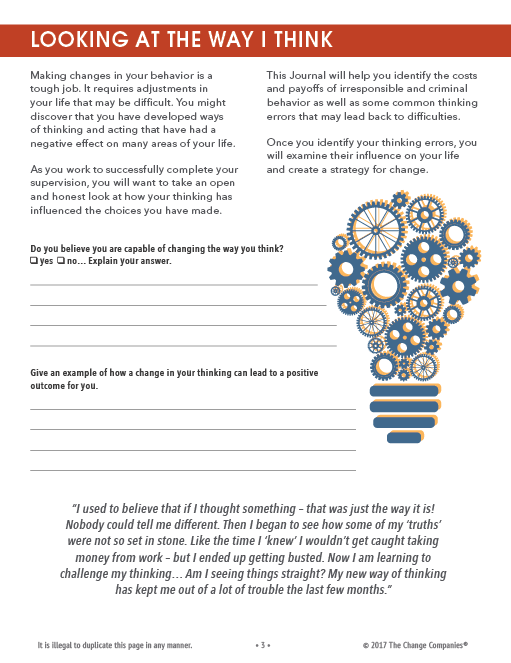 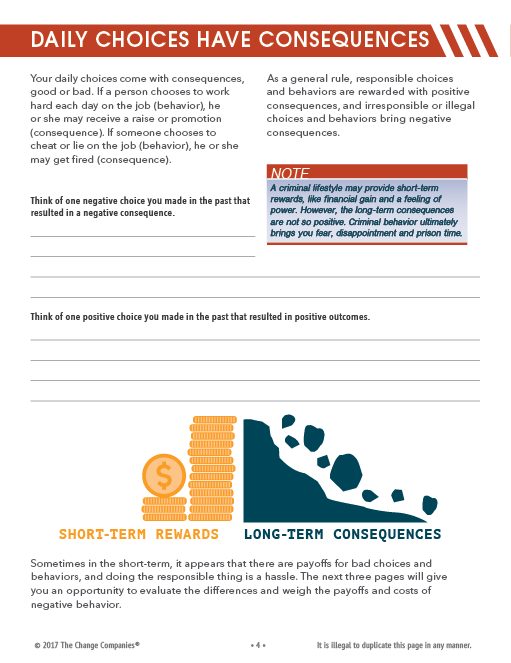 In the Responsible Thinking Journal, participants consider the connection between their thinking and their involvement in the criminal justice system. 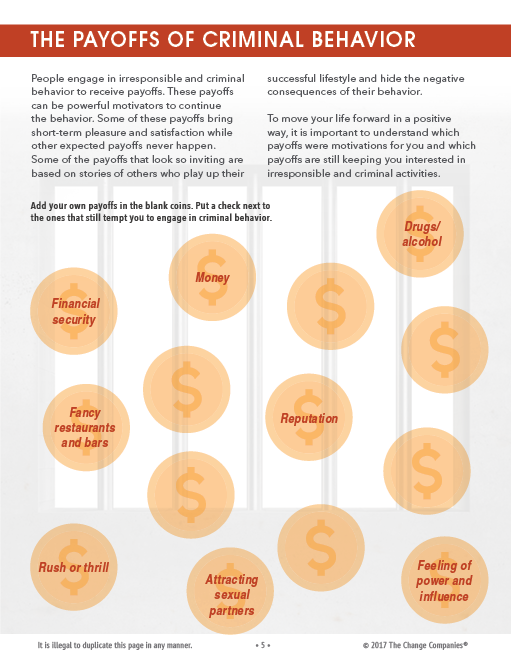 They weigh the payoffs and costs of their negative behavior and consider possible errors in thinking that lead to irresponsible and criminal behavior. Participants learn how to challenge and change their self-talk and practice decision-making and problem-solving skills.